Skeleton Bottle Openers;The Perfect Accessory For Any Haunted Tavern!Choose from a bone accented bottle opener and bone accented corkscrew. Vampire Coffin Flask.Includes: One Vampire Coffin Flask. 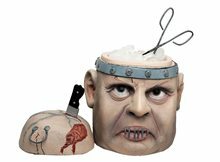 *Liquor, Costume and Accessories Not Included. Sold Separately. 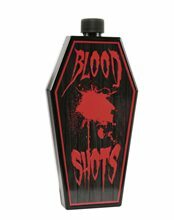 Complete your vampire costume with this awesome Vampire Coffin Flask! It's the perfect addition to your costume.